Does the long and winding road lead me to your door? And if it does, will it never disappear, leaving me standing here, to let you know the score? Well, it is a pretty fair question for any motorist to ask, don't you agree? Especially if the motorists in question are none other than those four chaps from Liverpool called John, Paul, George and Ringo, who are in this 64 minute documentary made in 2004. 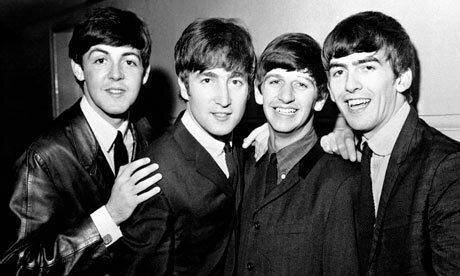 In a rather fractured fashion, this documentary tries to convey the chronological life and times of the musical group known as the Beatles. Now it attempts to do this by presenting a compilation of archive footage that is complemented by numerous captions and accompanying melodies. What now follows is a sample of some of the instances conveyed in this feature, including a number of quotes taken from said piece. No comment - the Beatles. Paul marries Linda. John marries Yoko. The Beatles have a divorce in 1970. 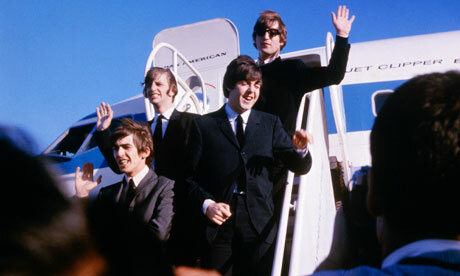 In epilogue, 'The Beatles Lost Interviews'. 'The Long And Winding Road' -- the song -- is one of the most beautiful pieces of music I've ever heard in my life. Also, did you know that it's has a really chequered origin too? Here, check out these facts: (1) Paul McCartney wrote this melody whilst he was at his farmhouse in Scotland; and was inspired to do so for three completely different reasons. Firstly, because of the growing tension brewing between the Beatles at the time. Secondly, he thought that a melancholy 'Ray Charles slanted number' was something he wanted to create. And thirdly, the lyric 'The long and winding road', was supposed to represent the B842, which is a thirty-one mile winding road in Scotland near his farm. (2) The Beatles recorded this musical master-piece from the 26th of January to the 31st of January, 1969, just after their final performance on the roof-top of their Abbey Road headquarters. (3) Accompanying the Beatles on the Hammond organ at the time was a musician called Billy Preston. Now Billy worked with other musical greats such as Ray Charles and Sam Cooke, plus he also had a number of 'pop hit's like 'Space Race', 'Nothing for Nothing', and ''Will It Go In Circles'. (4) It is believed that the original version of this song wasn't chosen to be on the original album associated with it, 'Get Back', because John Lennon's bass playing effected the musical arrangement. Please note: John usually played the rhythm guitar, and not the bass. (5) Tom Jones turned down an offer to sing this song when Paul gave him the opportunity to record it. 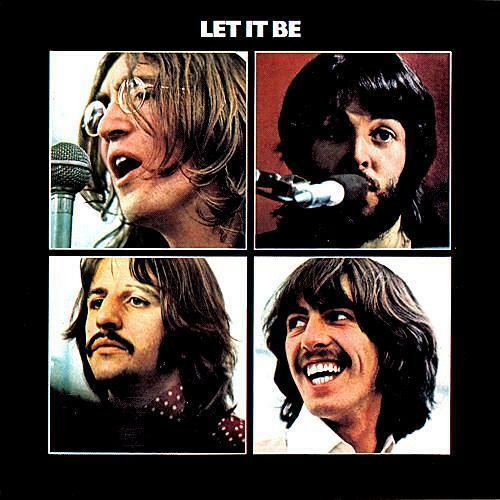 (6) During the dissolution of the Beatles, music producer, Phil Spector, came on board, and initially included this number on the re-titled 'Let It Be' album, before removing George and Ringo's parts in this piece, as well as annoying the accompanying orchestra to such an extent, they eventually walked out on him. (7) Paul McCartney hated Phil Spector's version of his song so much, that he prematurely announced the Beatles break-up. The Beatles usual producer, George Marin, wasn't too keen on what Phil had done to it either. (8) In 2003, Paul and Yoko released a fairly intact version of 'The Long and Winding Road' on the 'Let It Be... Naked' album. (9) Some of the musicians who have covered this song are people like: George Michael, Olivia Newton-John, Richie Havens, Sarah Vaughan, Andy Williams, Barry Manilow, Mantovani, Tony Bennett, George Benson, Cilla Black, Ray Charles, Cher, Peter Frampton, Aretha Franklin, Billy Ocean, Gladys Knight and the Pips, Liberace, The London Symphony Orchestra, Johnny Mathis, Bill Medley, Kenny Rogers, Diana Ross, and too many more to mention. OK, so that was my 411 on 'The Long and Winding Road' - the song. So how does its documentary counterpart compare creatively, huh? Was it melancholy and magnificent in tone? Or was it a naff piece of film-making in action? Yeah. The last one I suppose. Sure, it's a retrospective piece. But not melancholy at all. In fact, the pseudo-Beatles inspired music that accompanies this program is rather 'elevator music' in comparison. Moreover, where an overall narrative is concerned, there is no tale related what so ever. You see, in a rather jovial way, this film reminded me of a joke I once heard by a stand-up comic. Well, this chap was talking about how Prince William was studying 'The History of Art', and basically defined this subject as 'placing the historical painting in chronological order'. That's all this documentary does really. Place archive footage in chronological order. There is no narration. There is no insight. There is no focus. All there is, is sporadic captions that denote the passage of time, plus the aforementioned 'elevator music' as well. Shame really. 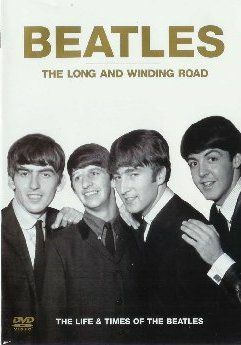 I would have liked to have praised 'The Long and Winding Road' much-much more than I have. Stating that it was a masterful piece of documentary film-making . But it's not. It's a rather exploitative piece of histo-rama, which has somehow got its hands on a number of Beatles archive-footage, pieced them all together, and that's that. Now in my own personal opinion this one is for the die-hard Beatles fans only. As for the rest -- well -- splurge on 'Anthology' instead. It's the only way that this material can be presented. Don't you agreed John and Paul?